It’s official — deaths and injury from automobile accidents are on the rise throughout the United States. You may be lucky enough to escape from an accident with your life. But you’ve likely also sustained some kind of injury as a result of the wreck. Alongside concussions and broken bones, a shoulder injury is one of the most common consequences of a car accident. You may experience serious physical pain that you experience after a car accident. And you’re likely also concerned about the financial consequences of a car wreck — especially when the accident wasn’t even your fault. In order to get the most out of your settlement and overall insurance claim, it’s crucial that you know what to expect. If you’ve sustained a shoulder injury as a result of a car accident, then you need to keep on reading this article. You’re driving your daughter to dance class, or meeting up with your friends to go see a movie on an afternoon. You stop at your usual intersection, turn on your signal, and pull out to make a legal turn. That’s when it hits you: the car that ran through a stop sign and collided directly with your car. In addition to feeling a sudden, throbbing pain in your shoulder, you’re also checking to confirm that everyone else in your car is alright. You’re also likely scared and even more confused. In short, it can be tough to keep calm in an accident. Knowing what to do before one happens, and especially how to behave if you think you’ve sustained a shoulder injury, will help you build the best possible foundation for your case. First, make sure that you move your car to safety, and get out of your vehicle. Then, grab your cell phone and start taking as many pictures of your car, your injury, the roadside conditions, and even the other people/license plates involved in the accident. Next up, get in touch with the police as soon as possible. While they’re on their way, make sure that you gather as many witnesses as possible. It’s likely that another driver has pulled over to make sure that everyone is alright, or has offered to call 911. Collect their contact information and ask if they’d be willing to make a statement to police, and if needed, in a court trial. Once the police arrive, you should tell them exactly what happened and file a police report. Avoid any admission of guilt — even apologizing to the other driver. Make sure that you get the officers’ badge numbers, and that you know the precinct in which they work. Now that you’ve collected as much evidence as you can, and have filed a report with the police there’s no better time to call your insurance company and let them know what’s happened. Though you may need to wait to officially file your claim once court proceedings are over, letting them know that you’ve been in an accident is a part of your due diligence. Now, it’s time to head to the hospital. Remember, even if you think you haven’t gotten any injuries, you might be dealing with a potential concussion or internal bleeding. Sometimes, injuries can take a while to show up. Always play it safe rather than sorry when it comes to a car accident. Now, let’s take a look at the potential consequences of getting a shoulder injury in a car accident. If you’ve received a shoulder injury as a result of a car accident, it can be tough to know what to expect. In this section, we’ll examine some of the most common injuries to your shoulder that happen as a result of whiplash and impact. This is an especially irritating injury, as it can impact your ability to perform fine motor skills. You’ll likely notice the possibility of a torn rotator cuff if you experience pain every time you try to lift your shoulder. This takes quite a few months to fully heal — meaning that you’ll likely be out of work for a while if you sustain this injury. This is somewhat akin to a sports injury and usually happens when your seatbelt jerks your body back in the event of a collision. Plus, your body will have likely moved in a sudden and unexpected way. Usually, this results in a portion of your shoulder muscles tearing — and it can be incredibly painful. In severe cases, you may even have to deal with a torn rotator cuff. If you’ve sprained your shoulder, you should be back on your feet in a few short weeks. This means that it’s one of the fastest healing injuries on our list. Because a car collided with yours at what was probably a fairly high speed, sometimes, the force alone will be enough to break or crack a bone. Most often when it comes to car accidents, those involved will sustain bone fractures in the collarbone, the upper arm bones, and even the shoulder blade itself. This isn’t an injury that anyone wants to have — but it’s also one that you might not be aware of unless you’re seen by a medical professional. There is one more possible shoulder injury you could get in a car accident. This is bruising within your deep tissue. Don’t be fooled by the name — usually, this is a sign of internal bleeding. If you notice bruising, leave the scene of an accident and seek medical attention as quickly as you can. 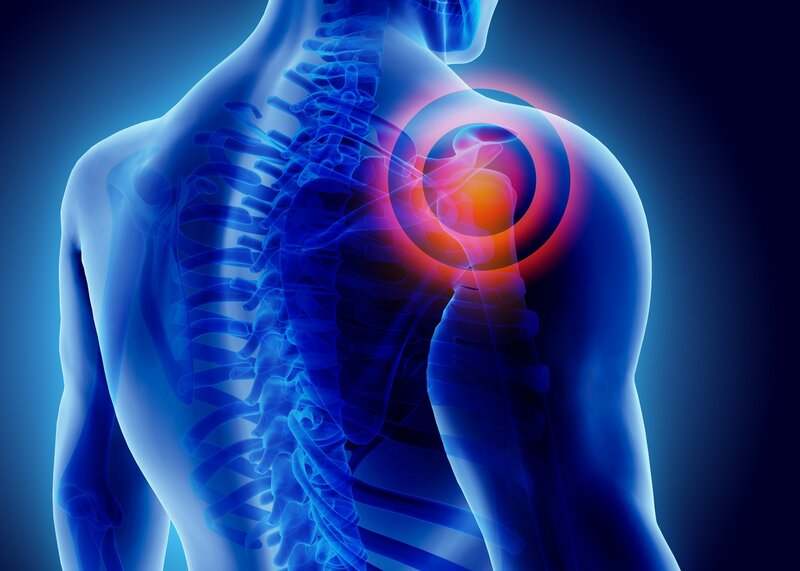 You know that you’ve sustained a shoulder injury as a direct result of your car accident. But if you want to get reimbursed for those medical expenses — and get a fair settlement if your case goes to court? You’ll need to be able to prove to your insurance companies and those in the courtroom with you that your shoulder injury was a direct consequence of the accident. Of course, it goes without saying that the insurance company will do everything they can to avoid reimbursing you for either a partial or full amount of your medical bills. To get the money you deserve, let’s take a look at what you need to provide both in court and to your insurance company. This is the first step in working with your insurance to get the coverage you need for your shoulder injury. You and your attorney will work together to write your personal injury demand letter. In it, you’ll tell the company about the extent of the injuries, what you’ve been diagnosed with, and where the injury is located. You’ll also seek to prove that the other person caused or is at fault for these injuries. Next, you’ll discuss not only your loss of income, (if you were unable to work because of your shoulder injury) but also the overall cost of your medical treatment. If you suffered additional pain and suffering, you should also make that clear in your personal injury demand letter. Along with your demand letter, you should also include documentation and medical records surrounding your shoulder injury. Keep in mind that, when you release these medical records, you may be required to sign a waiver of your HIPAA right so that the insurance company can legally access them. However, keep in mind that shady insurance companies will often ask for more medical history than they need, in an attempt to use a past injury against you. For example, let’s say you broke your arm about a year ago. The insurance company might try to claim that your shoulder injury is related to your old broken bone, not the car accident. Always discuss signing away access to any records with your lawyer first. You’ll need to potentially provide x-rays, a medical report, records of any prescriptions/medications, your medical bills, and perhaps other documents. You should also include any photographs you took of your injuries, and maybe even police reports confirming the accident actually took place. Remember, whenever possible, keep as many of your bills and receipts as possible. You’ll likely need to send these to your insurance company as well. This usually happens because your company doesn’t believe that you’re telling the full truth about your injuries. You should expect to be examined by a medical professional that the insurance company has chosen for you. We know that this is incredibly frustrating, but keep in mind that, because the company has to pay out of pocket for this exam, they happen rarely. Usually, you’ll be able to refuse an IME. Your lawyer can also assist you if you need to find a way to avoid having an IME — so don’t agree to anything without speaking to them first. We know that, especially when you’re dealing with the physical and sometimes emotional pain of a shoulder injury, it can be tempting to just “say yes” to any settlement offer. After all, at least it will finally be over, right? Though it might seem like a good idea, taking the first settlement that you’re offered, or agreeing to a set payment to avoid going to trial, usually isn’t a good idea. First of all, you’re likely not going to get the amount of coverage that you need or deserve. Do you really want to be responsible for paying your medical bills, car repair, counseling, a rental car, and more — all for an accident that wasn’t even your fault? Trust us when we tell you that you’ll need to be prepared to deal with some seriously high-pressure tactics from both the opposition’s lawyer and your insurance claims adjuster. Hire a good lawyer to help you get the compensation you deserve from your accident and shoulder injury. Need Help Getting A Settlement After A Shoulder Injury? We know that when you’ve sustained a shoulder injury from a car accident, a million different things are going through your mind. Especially because you’re likely in a serious amount of physical and emotional pain, you’re more vulnerable to being taken advantage of by your insurance company or even by the lawyer representing your opponent in court. You need an experienced, qualified attorney who can protect your interests and help to ensure that you get the settlement that you’re entitled to. You also need legal representation that can help you to properly file claims and provide the necessary documentation to your insurance company. Spend some time on our website and blog to learn more about how we will fight for you over the entire duration of your car accident and shoulder injury lawsuit. When you’re ready to start building your case, get in touch with us.